Your Website Redesign Project Plan: Is It Time? 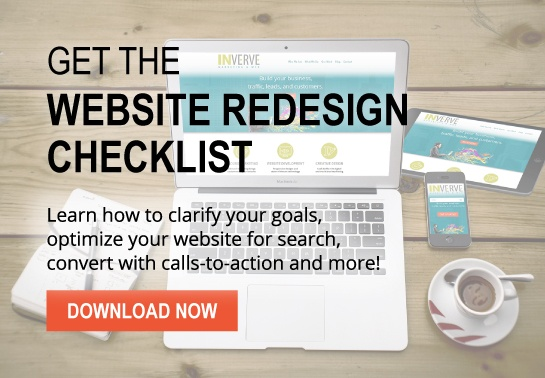 You’ve started thinking about a website redesign project plan for your business and wondering, do I really need to redesign my site right now? We just launched it a few years ago. Your website serves many purposes and the optimal time to update may depend on several factors, but a company website’s primary goal is to generate leads. A website is your best and most useful digital asset, which is why it should be redesigned periodically. In fact, you should attempt to redesign and update your website every two years. This might seem daunting but a website is an ongoing project and must stop being viewed as a one-time investment. It’s a continuous procedure that needs edits, updates, major revisions and maintenance. The picture above is a screenshot of the first ever website. See how far we’ve come since websites were first introduced? Some designs seemed like great ideas at the time, but trends change, and that flash intro introducing your website needs to be retired, especially since it’s not viewable on Apple devices. The design elements present on your site should always, always, always provide value to the visitor. If they don’t, send them to the virtual trash can. It’s time to plan a redesign project if the end of your content management system (CMS) life cycle is coming up within one year. Examples include: WordPress, Drupal, Joomla, Concrete 5. Be on the lookout for updates to coding language and your hosting server. Both of these are indicators that it’s time redesign. Have you updated your brand? Do you plan to? New logos and color schemes must be reflected on a redesigned website. If your business starts offering new products or e-commerce, it’s time to consider a website update. New business processes and added features (such as secured logins) also play a role. This is also a process that is constantly evolving. Your website should carry out marketing goals and reflect the objectives used to accomplish those goals. Keep in mind you’re using your site for lead generation. This means it might be in your company’s best interest to personalize content based on viewer preferences. Another big factor is SEO. Algorithms are always being updated and the ways in which search engines view sites changes. Redesign your website to be optimized for any device, to display smart content, and to include ways to connect with your company on social media. These are but a few aspects to review when considering whether or not it’s time for website redesign. Your website is an ongoing project. Keep up with changing web trends, update content so that it’s reflective of what visitors need and are looking for, and make sure your website carries out your business goals. Keeping these reasons for redesign in mind can help optimize lead generation, the primary goal of any business’s website. The primary goal of any website is to generate traffic. If any of the above applies to your website, it’s time to consider a redesign project plan.